Professional Web Services builds websites to your specifications. There are a variety of Web design plans to choose from that allow you to dictate many aspects of your site, such as layout, color schemes, and organization. 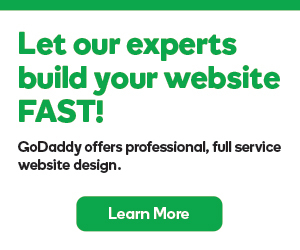 We construct your website for you. All you need to do is supply content, such as photos and text. The Professional Web Services team is available to you throughout the Web design process, ensuring that your website reflects your unique needs and preferences. There are two plans, which include website design, hosting, and up to 30 minutes of Site Updates per month. Additional Updates minutes can be purchased in 30 minute blocks, if needed. Includes a 5-page website built from an extensive collection of professionally designed page layouts. You choose the layout, colors, and site organization. Includes a 20-page website built from an extensive collection of professionally designed page layouts. This plan also includes custom designed graphics and a custom header for your website.